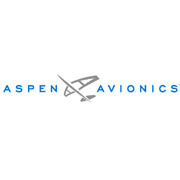 Jeppesen partners with Aspen Avionics. Jeppesen and Aspen Avionics announced today that the companies will partner to incorporate the new Aspen Avionics Evolution Flight Display system into a full Jeppesen data solution. Aspen Avionics specializes in bringing advanced technology and capability in glass cockpits into general aviation aircraft. Jeppesen is the industry-leading provider of flight deck information. Jeppesen will focus on making database maintenance for the new Aspen Avionics system easy to install and easy to own. An industry first, the Evolution Flight Display system will utilize an aggregated NavData, obstacle, terrain and cultural database, which will be updated via the well-established Jeppesen Services Update Manager (JSUM) data delivery tool. “Jeppesen is excited to be onboard this new ground-breaking generation of EFIS systems,” said Thomas Wede, Jeppesen senior vice president and general manager, Aviation. “The Aspen Evolution Flight Display taps into a whole new market segment. Older general aviation aircraft with analog instruments now have a more affordable upgrade path to glass than was previously available to them. Bottom line is that the evolution displays make flying easier and safer, which is a feature that Aspen and Jeppesen products have in common,” explained Wede. “We are honored to be the first company to have implemented the Jeppesen integrated database into our products,” said John Uczekaj, president and CEO of Aspen Avionics. “The Jeppesen product line is ubiquitous throughout aviation and the ability to offer Jeppesen map, obstacle, terrain and cultural data to our customers will add tremendous value to their Evolution Flight Display installations,” Uczekaj continued. All new EFD customers will receive three months of complimentary Jeppesen services upon product registration. Pricing and coverages will be announced soon. For more information, please contact Jeppesen at (800) 621-5377 or visit www.jeppesen.com. Aspen Avionics specializes in bringing the most advanced technology and capability from the commercial and business aviation markets into general aviation cockpits—and budgets. Our products increase situational awareness and reduce pilot workload, making it even easier and safer to fly in both VFR and IFR conditions. The way we look at it, getting the latest avionics technology shouldn’t always mean spending a lot of money on equipment or installation. At Aspen Avionics, we design products to be affordable, easy to install, and easy to own.